Using maps and photographs, Mark Gevisser will talk about his new book, followed by a discussion with City Press editor Ferial Haffajee. 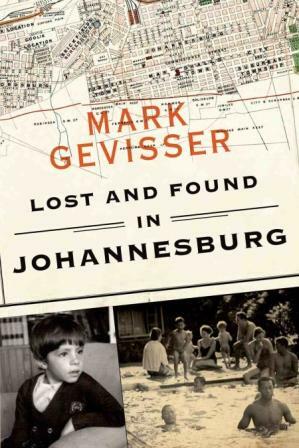 As a boy growing up in 1970s Johannesburg Mark Gevisser would play 'Dispatcher’, a game that involved sending imaginary couriers on routes mapped out from Holmden’s Register of Johannesburg. As the phantom fleet made its way across the troubled city’s atomised geographies, so too did the young dispatcher begin to figure out his own place in the world. With the maps and photographs he has collected over two decades, Mark Gevisser plots his path across the fraught city of his birth, from his coming to sexual consciousness to his brutal experience, as an adult, of an armed home invasion. He tracks back along his Jewish immigrant family’s routes to South Africa, from Vilnius and Dublin and Jerusalem, and he immerses himself, too, in the city of today, spending time with a transgender sangoma, the artists William Kentridge and Nicholas Hlobo, a glamorous environmental crusader, an elderly black gay couple from Soweto, and many more. In a style that balances gripping storytelling with deep lyricism and boundary-breaking pastiche, Gevisser finds himself, loses himself, and finds himself again in the city of his birth. and Jorissen Streets, Braamfontein, Johannesburg. Parking: Limited parking will be available at the Wits Arts Museum basement parking. Alternate parking will be available at Senate House Basement parking.